The last person Zac expects in the room next door is a girl like Mia, angry and feisty with questionable taste in music. In the real world, he wouldn’t – couldn’t – be friends with her. In hospital different rules apply, and what begins as a knock on the wall leads to a note – then a friendship neither of them sees coming. You need courage to be in hospital, different courage to be back in the real world. In one of these worlds Zac needs Mia. And in the other Mia needs Zac. Or maybe the both need each other, always. I really don’t want to mention The Fault in Our Stars here, but I probably have to. Scanning through the reviews on Goodreads, there were a large number of people comparing this novel to it and that annoyed me. They are different novels and should not be compared. Anyway, we shall not dwell on that. I do not want to compare them, I just thought that I’d mention that because not once do I get the feeling that this novel is trying to imitate TFIOS. Yes, some of the themes are the same, but how different are they going to be in a novel about teenage cancer? Which brings me onto the honesty about this book. 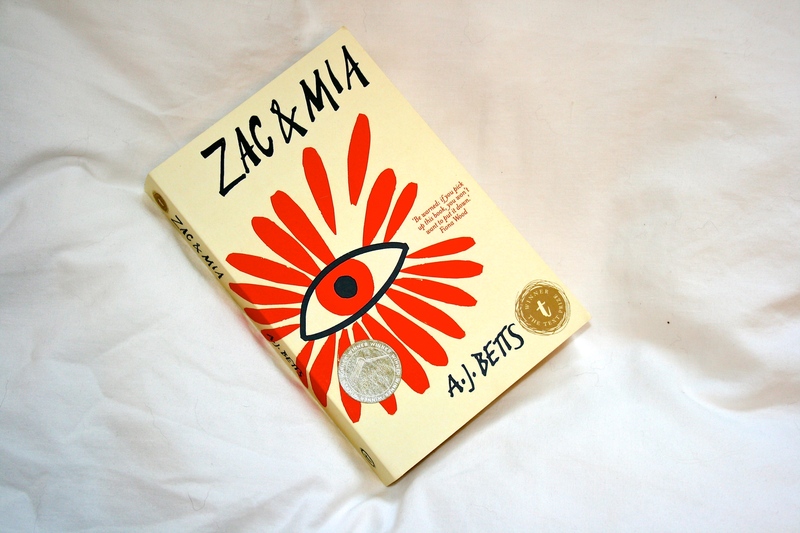 Zac and Mia are both completely open throughout this novel and one thing that is striking is Zac’s resignation to his treatment. To me, he has this “just get on with it” attitude, which completely contrasts with Mia’s view of her situation. I know that some people found Mia particularly irritating throughout this novel, however I didn’t. I think I interpreted her bitterness and anger as her response to the cancer, rather than her personality in general, due to her change later on in the book. I got the impression that her behaviour was one way that someone may respond to a situation like hers, and Betts contrasts this with Zac’s approach to show how cancer affects people in different ways. This was something I particularly liked as it made it realistic. There weren’t the stereotypical positive ‘let’s change the world’ sort of attitudes, instead they were real and gritty, which actually made it a more pleasant and interesting read. The plot of the story is actually quite fast paced, with many things happening. I find slow moving books with lots of explanation quite dreary and difficult to read and so this book kept me interested as it went on. There were also many twists and turns that weren’t expected, but they worked logically in the plot and kept it flowing. The novel is split into three parts, which are narrated differently. Part one is narrated by Zac, during part two it alternates every chapter and part three is narrated by Mia. I particularly liked the way this was done because sometimes I find that if the narrator changes every chapter throughout the entire novel it doesn’t always flow that well, so this way you still get both characters’ perspectives, just without the constant changing. It also enabled me to understand how the characters were impacted, due to being in first person. If it had been narrated solely from one characters’ point of view then I think a lot of the story would have been lost as it is about them both and their own experiences and how they need support, rather than it being about one of them. Overall, I really enjoyed this book. There was something refreshingly honest about it and the emotion that is conveyed. I do feel that some books either take cancer and romanticise it or they do the opposite and portray everything negatively. However this book took what I’d imagine to be a realistic stance; being positive where possible, but not forgetting the awful impacts that cancer can have.